A city full of inspiring Spaces, find the coolest meeting room in Dublin. Dublin is full of some super cool Spaces that you can hire for your next event. A special city that’s full of surprise and delight, Dublin has some stunning meeting rooms to hire. Impress your Guests with these quirky venues and hire one of these meeting rooms in Dublin. 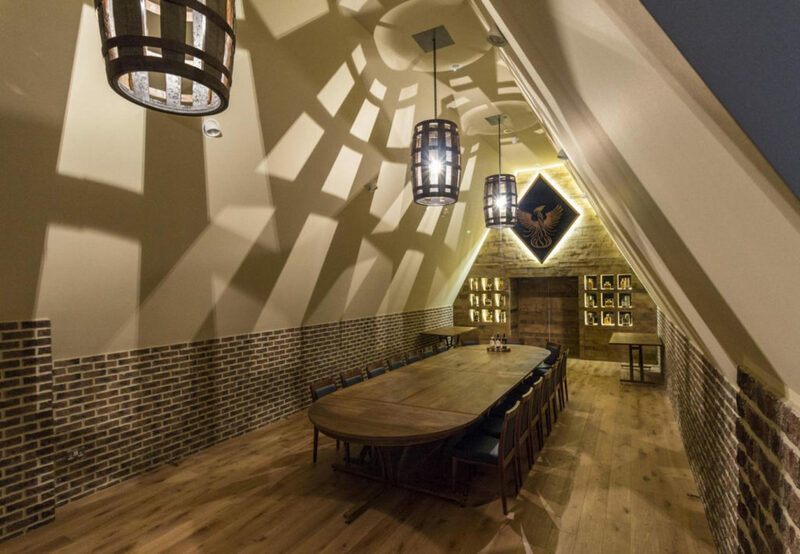 An unusual meeting room, the Teeling Whiskey Distillery can be found near Warrenmount. The Space has a quirky pointed ceiling that adds lots of height. With exposed brick and subtle furnishings the best features of Teeling Whiskey are the lampshades made from their own carved out barrels. Teeling Whiskey Distillery is a Space full of charm and is a cool venue for your next brainstorm or workshop in Dublin. Able to accommodate up to 60 people this venue could even hold a small conference, available to hire from just €450.00 this Space is an affordable unusual meeting room to hire close to the city. It doesn’t get cooler than this. The All-Star Suites are the most luxurious Spaces at Croke Park Stadium. Each unique suite is named after the greatest GAA players and they each showcase the Irish sporting heroes in a unique way. Each meeting room is custom built and has everything you need to make sure your meeting runs smoothly including the latest WiFi technology, HD screens and customisable lighting. If you need a bigger meeting room why not hire all 3 suites together and really impress your Guests with one-of-a-kind views over the stadium. If you hire this cool meeting room you’ll even get private access to the balcony that overlooks the stadium, it doesn’t get much better than that. A chilled out meeting venue, The Conservatory is a great venue hire if you’re looking for something a little more unusual. With south-facing windows and modern chandeliers, this is a true hidden gem in Dublin. If you want to instil inspiration for a brainstorm or workshop venue then the unique decor and informal atmosphere at The Conservatory will definitely help. You could even treat your team to breakfast during the meeting. This truly is one of the best meeting rooms in Dublin. Right in the centre of Dublin, The Alex is a great choice if your Guests need a super central location. Close to every transport link in the city, this is one of the most accessible venues in the city. The super sleek Space oozes cool and is a great venue to impress your team or important clients. Each Space at The Alex comes with state-of-the-art AV equipment and super fast WiFi – everything you need to host the perfect meeting and the simple, scandi-inspired decor will really impress your Guests at your next meeting in Dublin. 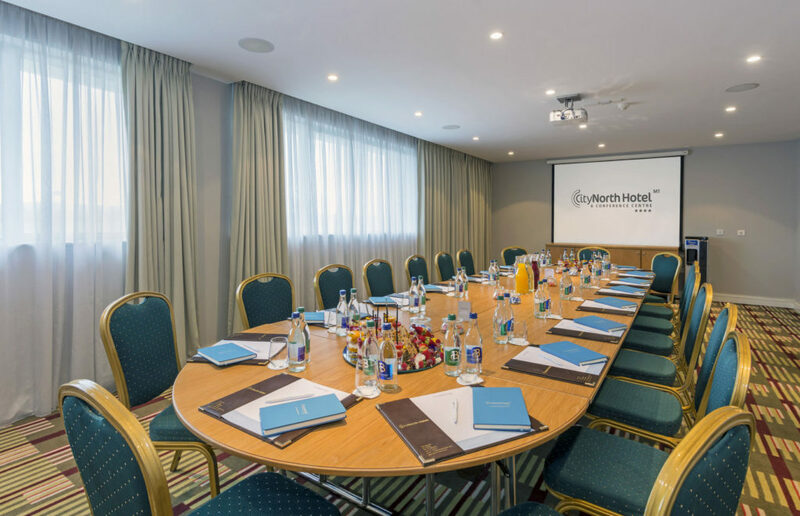 The wide choice of meeting rooms at CityNorth Hotel is impressive but our favourite is Dunsany, a bright and spacious meeting room, that is sure to wow your Guests at your next all-important board meeting. 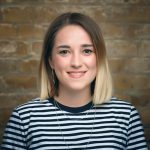 Is your meeting international? This cool Space is situated close to Dublin Airport so your Guests can get there with ease. 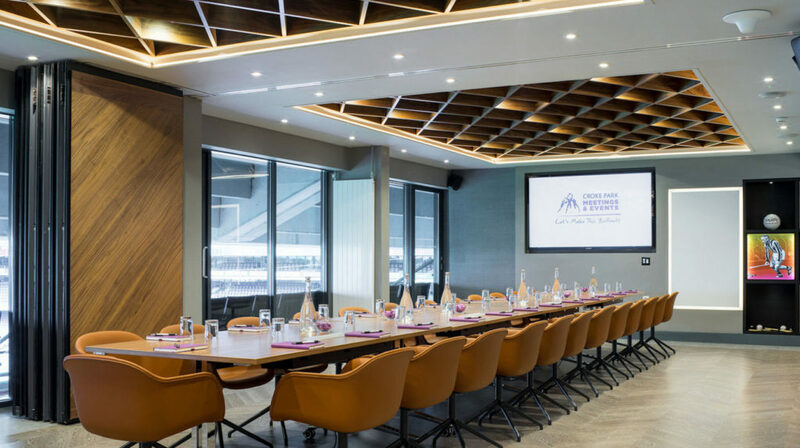 With everything you need for your next meeting from conference facilities to AV equipment, this is a no brainer when it comes to venue hire in Dublin. What is cooler than holding a meeting at the Irish Aviation Authority? A stone’s throw away from Trinity College and O’Connell Street, it offers superb facilities for your next meeting. Decorated with unique aviation images and artwork the Space offers an interesting background for your event. With everything, you need to make sure your event runs smoothly from WiFi to a dedicated events team this is great Space to hire. The Fastnet meeting room at Irish Aviation Authority can hold up to 27 delegates theatre style or if you wanted something more intimate it can accommodate 20 people sat at round tables. Contemporary and cool, Meeting Room 1 at SPACES is a high-spec meeting room in Dublin. With simple yet stylish decor this is the ultimate Space for your next meeting if you want to impress your Guests. 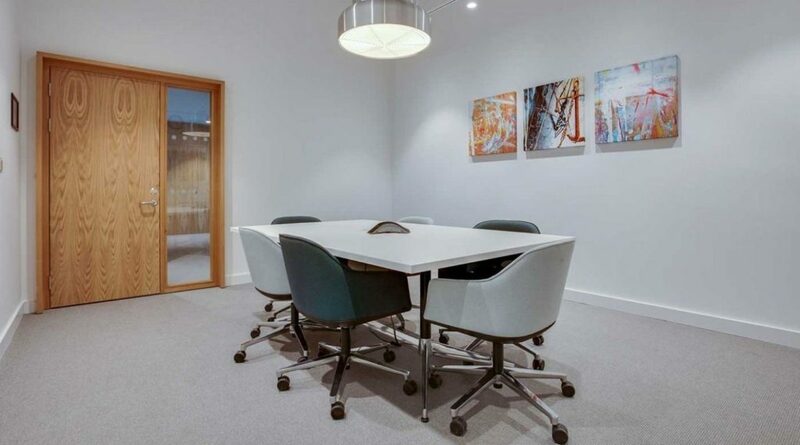 Around the corner from Google and Facebook, Meeting Room 1 is easily accessible for all your Guests and in the stunning area of South Docklands, it is surrounded by amenities that your Guests can explore in meeting breaks. 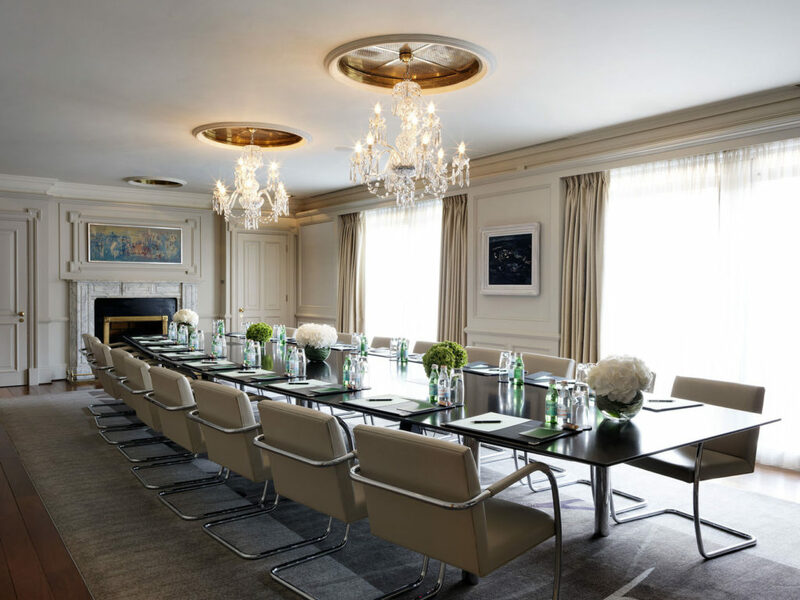 Looking for a state-of-the-art meeting room that still has that traditional edge? 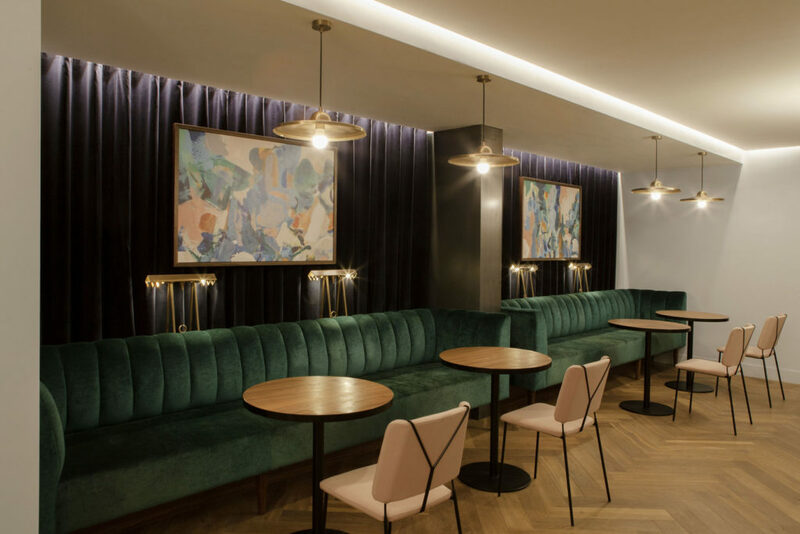 Trinity at Westbury is the Space you’ve been looking for. Able to seat up to 20 Guests this is a great venue for important board meetings, business meetings or client pitches. 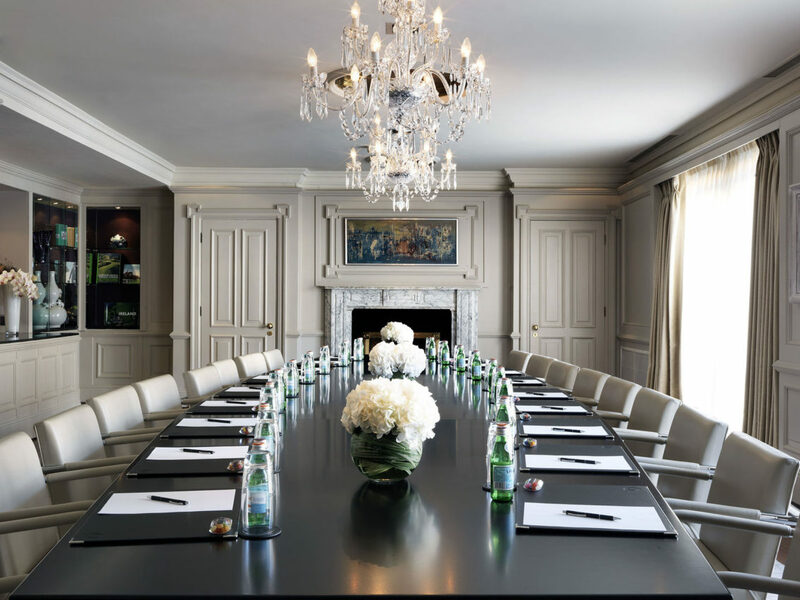 A sophisticated meeting room in Dublin, Trinity has impressive oil paintings hanging on the walls, stunning chandeliers and elegant glass cabinets. 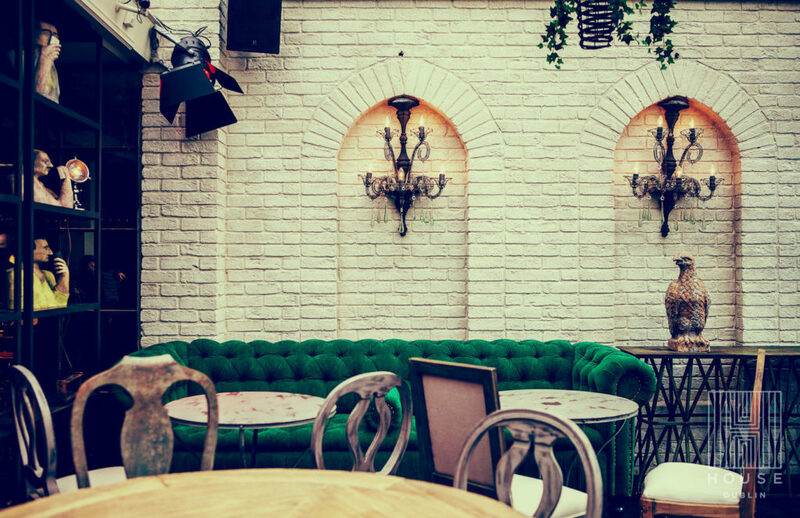 This Space moves from day to night easily and offers a great destination for drinks or food post-meeting. So, what are you waiting for? 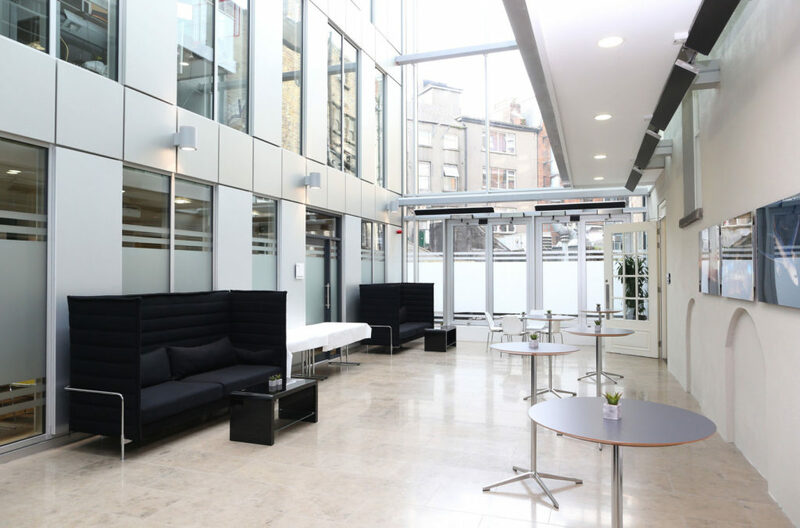 Find the coolest meeting rooms in Dublin with HeadBox the fastest growing venue finding platform in the UK and Ireland. Search, book and pay for your Space on HeadBox and find the best meeting rooms to hire in Dublin.